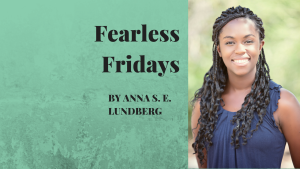 The final Fearless Fridays interview of 2016 is with Amber Berry, a CSI wannabe who always wanted to be a scientist but once she confronted the reality of that career decided it wasn’t for her. Discovering an interest and a knack for personal finance, she quit what had been a dream career to start her own independent business. It’s such an interesting example, of being sure of what you want to do – and soon realising that it’s not in fact what you thought it would be. Today more than ever, it’s so important to experiment, to do anything you can to actually experience what a job is like, whether by talking to people in the industry or doing an unpaid internship, for example, to see if it’s a good fit for you. The good news is that we’re no longer likely to be pursuing a job for life, which means we no longer need to find the One Career that will keep us occupied until retirement (and, by the way, we’re also much less likely to be retiring any time soon). Amber also makes a fantastic point that your “passion” may not look like you thought it would, so be open to opportunities that come along and expect that things will evolve. You may well end up doing something that you never even knew was a possibility. Leaving a corporate job behind to follow your passion: From life sciences to personal finance coaching! Amber had always wanted to be a scientist and after school, she went into research in a chemistry lab; she went on to conduct research at university in DNA repair with yeast, after which she worked in the biotech industry. 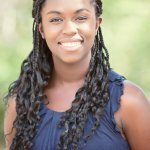 In July 2016, she left her job and today she manages a personal finance blog and coaching business. It was a series of moments. One thing I didn’t enjoy about the research part of science is that there’s not a very good work-life balance. People really go all in, while I like to go home at the end of the day! Some people sleep there, they’ll come in at three in the morning, go home for lunch and then stay there all night. I like to work but not to that point! Industry was a little better as they worked during the daytime but the work wasn’t super inspiring. I was tired of doing boring stuff, so that was the last strike for me. During that work, I started getting into podcasts and that’s when I got really interested in personal finance. I had all these hours to burn and things I wanted to learn, and it was super fun. But when I started getting into the online space, meeting people in Facebook groups and things like that, I noticed there were a lot of people who really struggle with personal finance topics and money management, and those emotional parts of money, and so I decided to do ‘the crazy thing’. So now I help women work out those issues and it’s been difficult but really rewarding so far. The biggest challenge has been working out the scheduling. I had two jobs – the lab job and then my other job, and I was building this business, so I was always exhausted, just trying to do too many things at once. I’m also a very private person, and I don’t really like the internet! I’m getting to the point now that I’m going on podcasts and sticking myself out, learning Twitter… Going way out of my comfort zone has been difficult, it’s getting easier but it has been a challenge. You want to be out there so you can help people. When I decided I was going to experiment with entrepreneurship, I joined a training programme online, which was really helpful and I met some great people on my same level. A couple of months after that ended, I joined a mastermind group and that was really helpful – we went on a retreat together, we had training calls two or three times a month, trying to learn new skills and catch up on the latest marketing tactics. It’s so helpful to have someone guide you through something, and you find a lot of collaborative relationships as you’re trying to grow. I think the best part for me has been not feeling like I’m forcing myself to do something. Growing up, I was always determined that I was going to be a scientist. I did it for several years, but once I started to get bored of it and I wanted to change I felt like I had to force myself to do it because that’s what I had told everyone that I was going to do. But now that I’m just letting things flow, everything feels like it’s back in alignment, and everything feels like it’s in the right place – which is kind of “woo-woo” but it just feels right, and I’m not struggling anymore. I’m not struggling to get my schoolwork done, I’m not fighting myself to do my readings – everything I’m doing now I really enjoy and I don’t mind. It definitely changes your life when you’re doing things that you enjoy, and that you feel are a good use of your time, it really makes a difference. If you feel like you may be on the brink of a transition, you should definitely explore it. At the very least, if you find out you didn’t like it, that’s okay, at least you know and you won’t have to spend your whole life wondering, “Maybe that could have been something I would have really enjoyed and I could have really changed lives.” So if you feel an inkling, just go and explore it. And you don’t have to do it alone, you can go and get a support group, join a Facebook group, there are lots of online communities. So go explore it, and don’t do it alone. Sometimes your passion will come to you if you’re not looking for it; and it may not look the way you thought it would. I never thought I would end up here, and now here I am doing all sorts of things I never imagined myself doing and I’m really enjoying it. Keep an open mind, because you never know! You can find out more about Amber and her finance coaching on Facebook or Twitter. 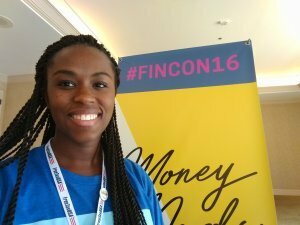 Fearless Fridays: From engineering to finance to ?? ?